What is everything really made of? If we split matter down into smaller and infinitesimally smaller pieces, where do we arrive? At the Particle Zoo - the extraordinary subatomic world of antimatter, ghostly neutrinos, strange-flavoured quarks and time-travelling electrons, gravitons and glueballs, mindboggling eleven-dimensional strings and the elusive Higgs boson itself. Be guided around this strangest of zoos by Gavin Hesketh, experimental particle physicist at humanity's greatest experiment, the Large Hadron Collider. 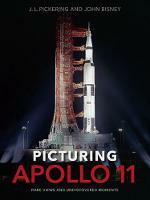 Concisely and with a rare clarity, he demystifies how we are uncovering the inner workings of the universe and heading towards the next scientific revolution. Why are atoms so small? How did the Higgs boson save the universe? And is there a Theory of Everything? 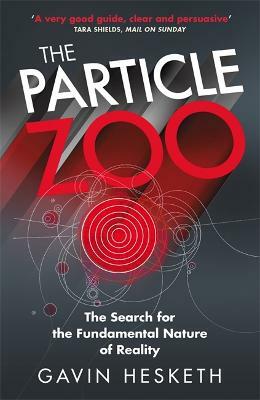 The Particle Zoo answers these and many other profound questions, and explains the big ideas of Quantum Physics, String Theory, The Big Bang and Dark Matter... and, ultimately, what we know about the true, fundamental nature of reality. Gavin Hesketh is an experimental particle physicist, supported by the Royal Society and based at University College London and CERN in Switzerland. He is currently working on the ATLAS experiment, one of the major projects at the Large Hadron Collider, and is therefore at the heart of the cutting edge experiments that are searching for a deeper understanding of the universe at its most fundamental scales. Gavin has appeared on the BBC's Horizon and Stargazing Live programs and been interviewed regularly on Radio 5Live about discoveries at the Large Hadron Collider.